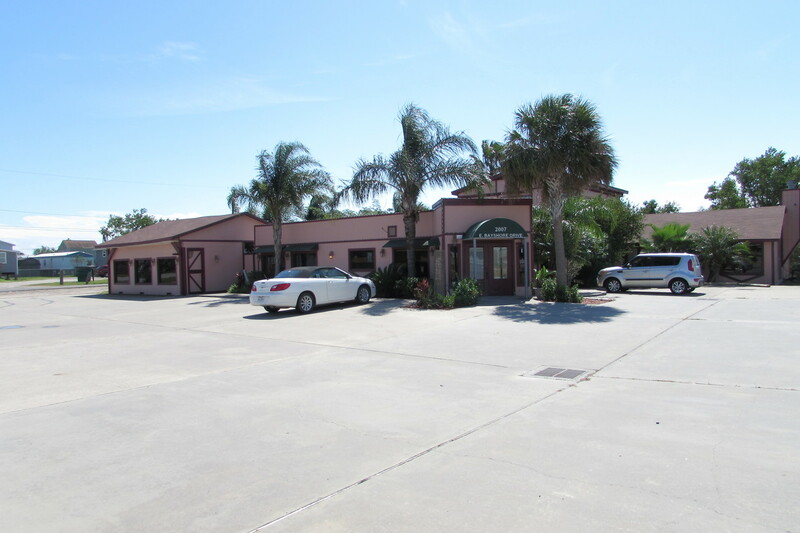 Former, very popular sports bar and eatery on the heavily traveled Bayshore Drive in between Bacliff and San Leon with “water view”. Restaurant setup with outside band stage and patio Tiki bar pavilion. Two sets of bathrooms, one in the outside courtyard and another near the dining room hall. Upstairs apartment or office with full bathroom. Full bar set-up, with underground taps . NO ZONING (Galveston County) Several possible use options, ample parking. SBA loan options available.